The business world of tomorrow is developing faster than we can measure, and many organisations are already feeling the change that comes with globalisation and the need for sustainable leadership. This course will highlight some of the major forces that shape the new world of work. Without clear guidelines, the culture of many companies is slipping out of the hands of the board and managers must work to stabilise their leadership initiatives so their companies can maintain a level of productivity that can compete in the modern business environment, and which also has the power to influence long lasting business growth. Keeping promises to your talent, providing for their needs and communicating successfully are the driving powers behind managing change and achieving excellence. By finding new and interdisciplinary approaches to capturing knowledge creation and flows; promoting creativity and fairness for goals and of social impacts of innovation. In this complete course we will discuss the key strategies to foster collaboration, you will learn to rally employees behind shared values, redefine employee roles inside and outside the organisation, and master the crafting of human-centred organisations that drive performance and profit. All students are welcome in this course, whether or not they proceed to more advanced work in organisational excellence, culture and collaboration. All you need is a drive to acquire new knowledge and skills that you can immediately apply to your job. Here at The People Engine, we believe in teams, which is the overarching concept of our brand. We have put together a remote team of highly qualified and globally experienced individuals who are specialists in their unique area. You will be hard pressed to find a more passionate, more dedicated team than the individuals who make The People Engine the place it is. When you need assistance or information on any aspect of the global people business, get in touch with us! Describe the different types of excellence and how it is created, maintained, changed, and assessed. Apply strategies for cultivating a positive workplace culture and creating happiness. 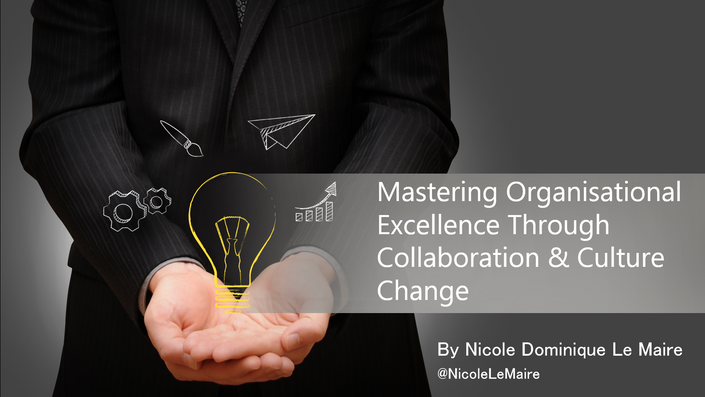 Ensure employees adapt to a culture of collaboration and change. Manage time, trust, effectiveness, or cooperation. Enable cross-cultural collaboration in an organisation. Assess business case for culture, how culture impacts performance. Construct a collaboration and culture change programme. Align culture with business strategy. Gain buy-in from managers and achieve sustainable leadership. Know the differences in the way each culture is perceived.